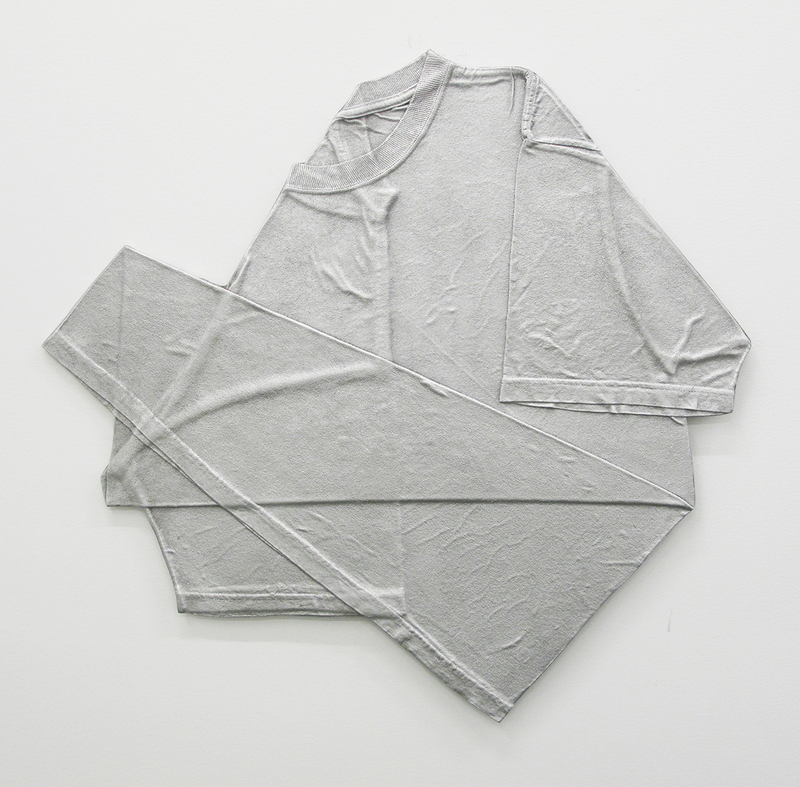 A series of wall hung mono-print reliefs, in cast aluminum of folded t-shirts that are a continuation of the discard (work shirt) series. 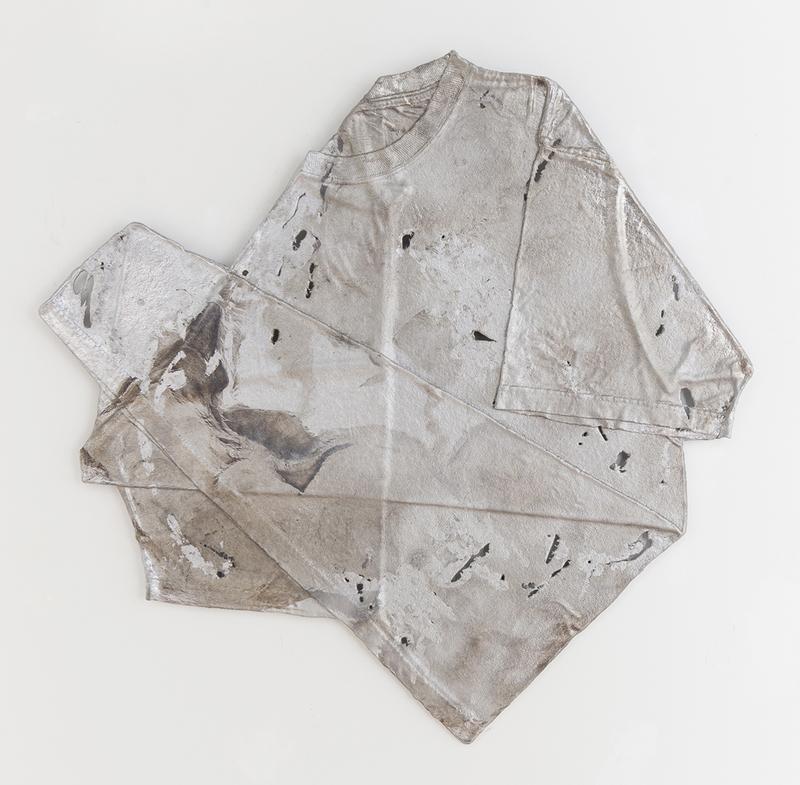 Discard (t-shirt), 2014, aluminum, 24 1/2 x 25 inches. 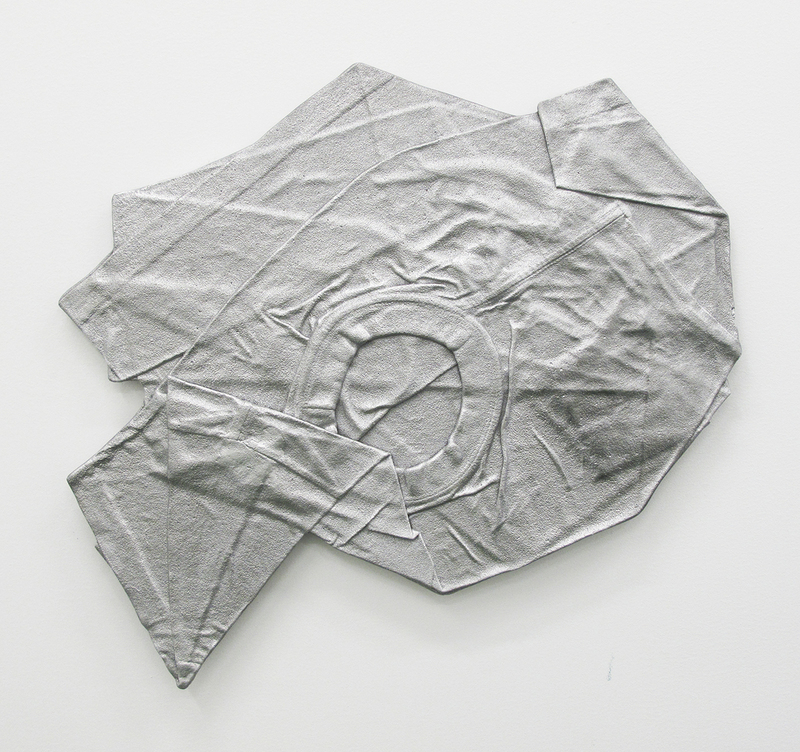 Discard (t-shirt), 2014, aluminum, 25 x 21 inches. 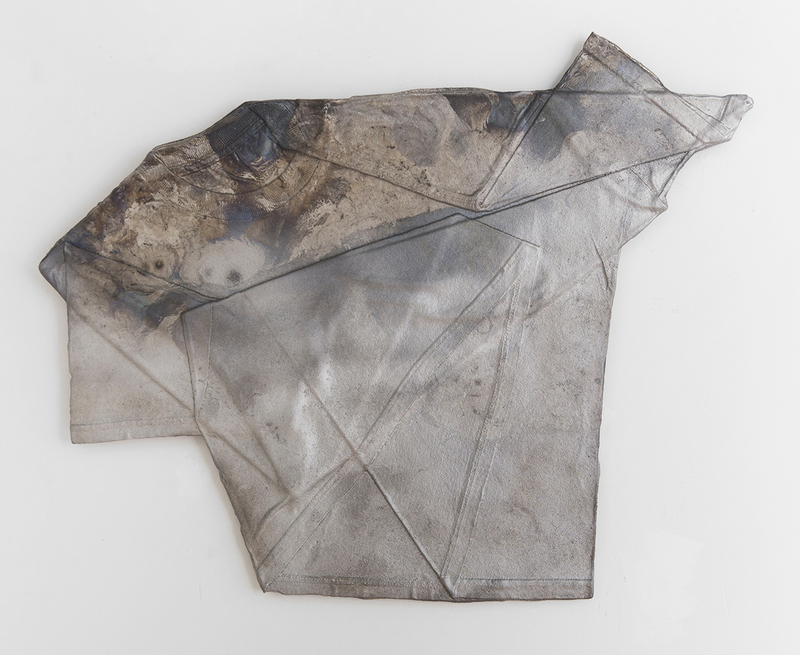 Discard (t-shirt), 2014, aluminum, 15 1/2 x 20 inches. 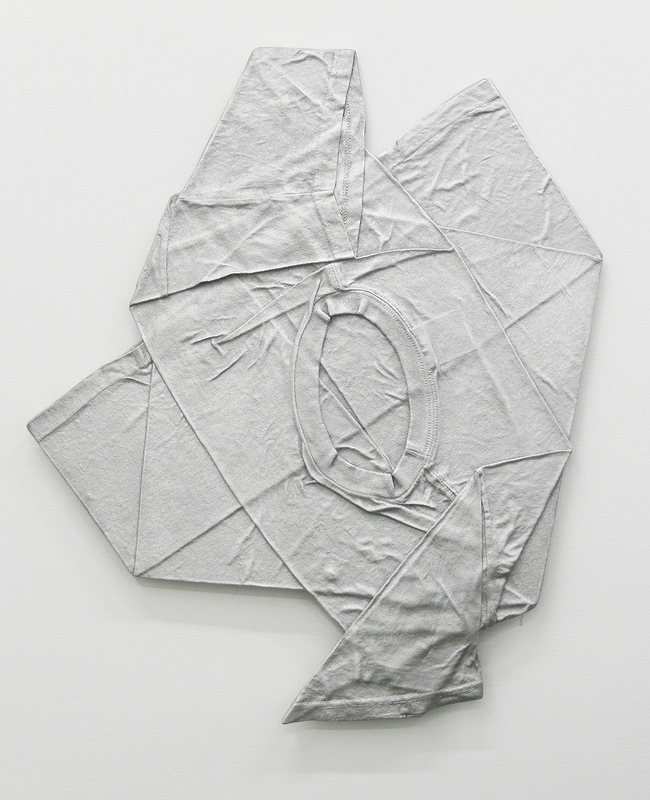 Discard (t-shirt), 2014, aluminum, 24 1/2 x 25 1/2 inches.